In an industry fast running out of novel and unique concepts to invest in, along comes Sproutly Inc. 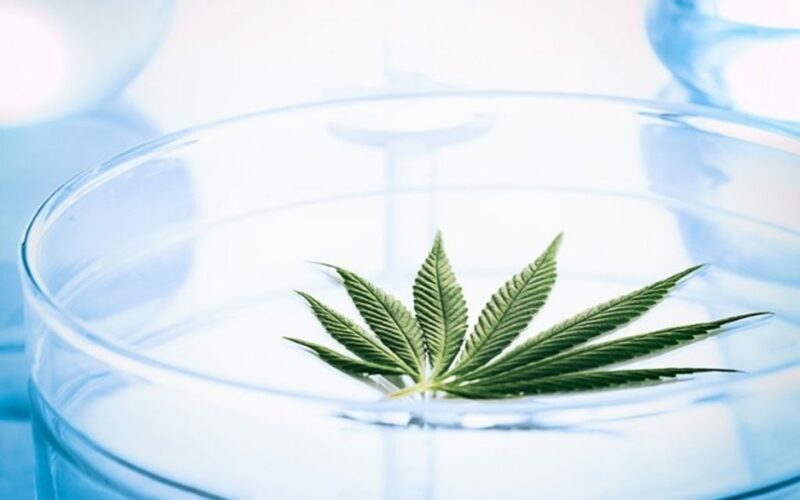 The world’s first & only natural water soluble cannabis distiller will begin trading on the Canadian Securities Exchange (CSE) next Monday, bringing with it transcendent technology which could recast the cannabis sector as we know it. We examine whether the hype is justified, or whether Sproutly is just another would-be cannabis unicorn making the rounds. If you’re not aware of the Sproutly name, that’s perfectly ok. The company hasn’t disseminated much information for public consumption leading up its July 9 IPO listing. There is no million square foot grow facility (by design) or flamboyant management team talking its book. A quick scan on SEDAR displays exactly four filings, and nothing that materially explains what exactly the company does. By design or by happenstance, Sproutly has maintained a rather stealthy profile. But all of that changes next Monday, when the company elbows its way into the broader sector discourse. 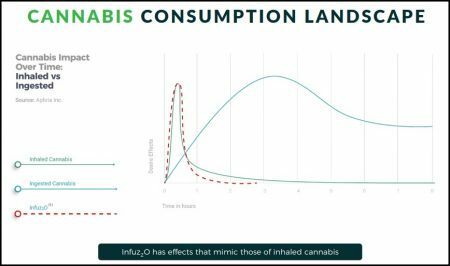 The reason: Sproutly’s patent-pending Aqueous Phytorecovery Process (APP) technology may very well change the way cannabinoids are infused into drinks and edibles—forever. While the previous statement may seem like aggressive hyperbole, I do not deploy such language lightly. The company’s APP-lication can recover cannabinoids and terpenes without disrupting or ‘denaturing’ the molecules through traditional extraction processes. It does this naturally via water soluble extraction methods, without having to repackage them as oil or activate them through a process known as decarboxylation (combustion). That allows whole plant extracts—CBD, THC, terpenes; everything—to be extracted as is without experiencing any degradation and molecular alteration heat-based distillation processes impose. Besides concentrate refinement which more closely resembles what Mother Nature truly intended, Sproutly’s APP technology solves a plethora of logistical quagmires inherent to THC/CBD reformulation into refined products—especially as it relates to beverages. As tetrahydrocannabinol and cannabidiol are exceedingly water-phobic, such concentrates are inherently difficult to infuse into any water-based product. Whether injected in oil-based or dissoluble powder form, such additions raise issues related to beverage texture, flavor and consistency. Oils pose challenges in terms of separation upon storage in various temperature environments, while powders may need to be shaken voraciously for equal dissolution throughout the beverage. That’s something brewers and spirit makers, in particular, wish to avoid. Sproutly’s APP technology also procures significant cost saving advantages via production and inventory pathways. Furthermore, APP post-water leftovers are treated with a proprietary re-agent which renders the most natural oil-based refined concentrate on the market. This product is suitable for both nutraceutical and edible purposes, while incurring no loss of product inherent to traditional extraction methods. In other words, less cannabis is required to achieve similar oil yields. If you’re not excited yet, check your pulse and keep reading. We’re about to get to the most exciting part. Midas Letter readers are aware of the industry’s “Holy Grail” ambitions preoccupying much of the sector. We’ve elucidated on this topic repeatedly, as have prominent industry executives. In short, multiple Canadian LPs are rushing to become purveyors of cannabis onset and offset control as it relates to edible product ingestion— a finicky and challenging conundrum to tackle. In essence, the edible/beverage space wishes to mimic the results of burning flower, without the physical and aesthetic drawbacks such consumption entails. The problem is, achieving the desired effect (5 minute onset/90 minute offset) is no easy feat. A primary obstacle is associated with biology. When re-formulated oil enters the body, it must be broken down before entering the bloodstream. The liver then metabolizes the various cannabis molecules, in what’s referred to as the “first pass effect.” Because non-aqueous molecules are generally more complex compared to water-based ones, there’s an inherent onset delay as the metabolization process plays out. Depending on the individual, this can range from 30 minutes to 1.25 hours—considerably longer in some cases. Sproutly’s APP technology solves the onset problem by simplifying biological processes and allowing faster absorption through the digestive track. As water is a simple molecule, the human body doesn’t require multi-stage mechanisms to break them down into smaller, elementary ones. Water molecules are so small that they have no problem diffusing through the phospholipid bilayer that forms the cell membrane of human tissues. Liver metabolization is efficient and less influential. The net result is not only faster onset (within 5 minutes on a reasonably empty stomach), but faster offset times (90 minutes, on average) as minimal unprocessed THC/CBD metabolites remain in the body. This is a pseudo-scientific way of explaining how Sproutly has already solved the 5 minute onset/90 minute offset issue half the industry is clamoring to resolve. Given the incontrovertible interest multinationals like Constellation Brands Inc. and Molson Coors Brewing Co. are showing towards developing beverage brands with such characteristics, Sproutly’s technology is sure to garner attention as investors become familiar with their story. There are few companies coming to market which pique my interest at this stage of the growth cycle. Cash crop LPs are a dime-a-dozen, and few ancillary business concepts exist which offer true value propositions to investors. Sproutly Inc. could very well be the exception. It’s not that Sproutly re-invented the wheel or founded some new Limitless drug. Rather, they re-formulated and improved upon a process which simultaneously solves the billion dollar onset/offset question, while producing the most chemically unaltered end-product and streamlined additive production process in the industry. Thus, Sproutly should not only garner plenty of investor attention, but acquisition interest should their APP technology prove difficult to emulate. I would imagine going from patent-pending (current), to patented, will be a huge key here. Whether Sproutly ultimately pursues a licensing model, becomes an buyout target, or builds-out the company organically I do not know. But their technology clearly has gravitas, and provides them incalculable first-in advantage as the sector’s drive for the “Holy Grail” frantically continues.